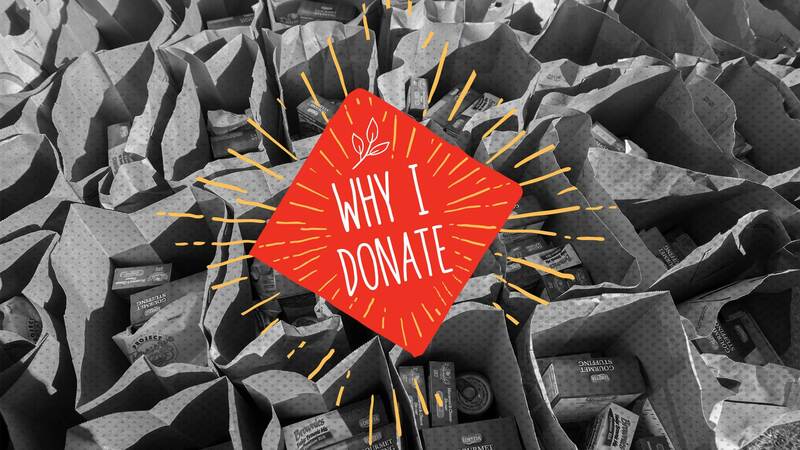 Danny & Donna Schaub share their response to the question “Why Donate?” in this latest entry in our on-going series exploring the various reasons that people donate to the Maryland Food Bank. This childhood experience, combined with working in the grocery industry fresh out of college, initially attracted him to giving to the Maryland Food Bank. The Schaubs had donated regularly since 2005, but last March, they began to reconsider their support after receiving correspondence from MFB advocating for maintaining current levels of SNAP federal funding. Danny contacted us, sharing some of his experiences of witnessing fraud in the SNAP program. “This program is ripe with abuse, do not defend it. I donate to many charities, why should I continue to send your organization any money?” Schaub wrote. Because every donor matters to us, Jo-Ann Enwezor, MFB’s manager of direct response and campaigns invited the couple to our Baltimore location to hear and discuss their concerns face-to-face. “We were thrilled that Danny and Donna gave us the chance to meet with them to have an open and honest conversation about hunger, and the different ways we address it,” said Enwezor. Like many donors, the Schaubs knew we did good work, but did not realize the extent of our programs until they toured our Baltimore facility. During the tour, the Schaubs found one program best exemplified their views on giving — FoodWorks. “People just need opportunity, they need to be pointed in the right direction,” Schaub said. FoodWorks does exactly that, and much more. The program offers a fresh start to low-income individuals with 12 weeks of intense culinary training and prepares them for careers in the hospitality industry. “We learned about your cooking school, which not only helps people get back on the right track, but helps keep food waste down by using fruits, vegetables, and other perishables to help feed others,” Schaub explained. We are thrilled to be able to continue to call Danny and Donna Schaub members of the MFB family. Without them, and supporters like you, we would not be able to run programs that give Marylanders the helping hand they need. 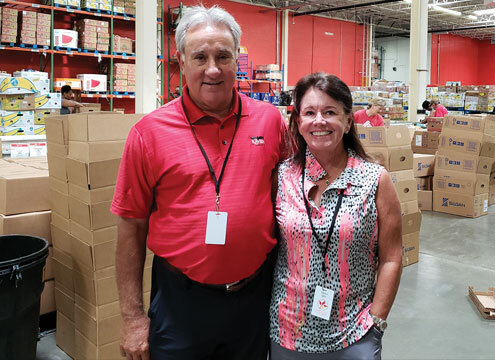 Danny & Donna Schaub have been regular donors to the Maryland Food Bank since 2005. They own a Maryland-based business and live on the Eastern Shore.